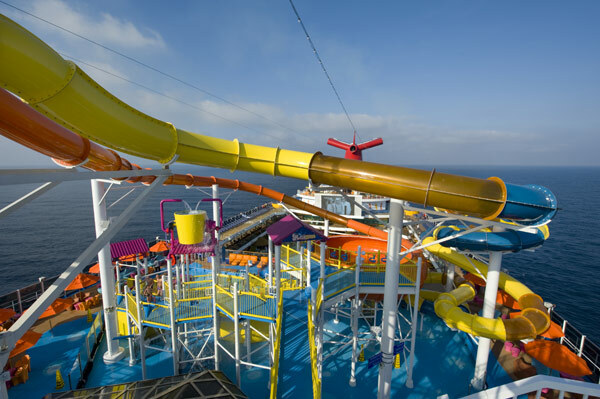 WaterWorks: For the first time on Carnival Freedom, guests can zip through the AquaTunnel or Twister slides or get soaked by the 75-gallon PowerDrencher. Bonsai Express: Think Carnival’s classic Bonsai, but quick service. Enjoy sushi, sashimi and more on the go! Mini Golf: Transformed and relocated, this mini-golf course is 9 holes of fun for the whole family. Deli: Rebranded and expanded, you’ll find all of your Deli favorites piled high on Deck 9! Along with these upgrades, the retail shopping area on board will be expanded and updated, but the highlight will be the all-new Carnival Adventures shop, which has anything you would need on your adventures, including scuba gear and waterproof backpacks. While the enhancements are exciting, Carnival Freedom­ will still have Carnival favorite’s on board, such as BlueIguana, Punchliner Comedy Club, and the family-friendly Seuss at Sea program. 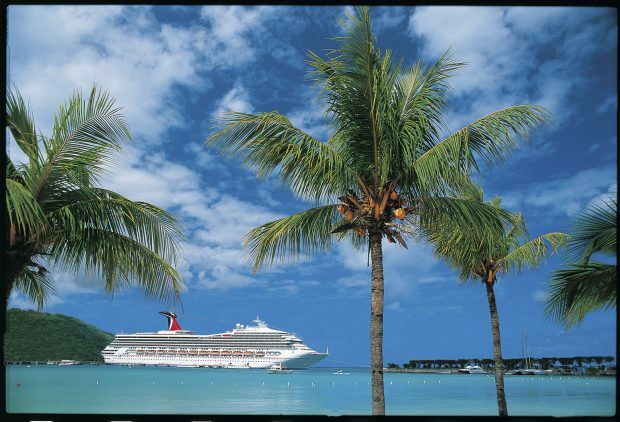 After the dry dock, Carnival Freedom will resume operations out of Galveston, Texas and space will fill up quickly, so call The Cruise Web today to book your vacation with one of our expert consultants! When Carnival’s Mardi Gras hits the water in 2020, she will feature six, all new, themed zones. One of the zones is the French Quarter, designed to bring the essence of the Big Easy on board a Carnival ship. The heart of the French Quarter on Mardi Gras will be highlighted by Chef Emeril Lagasse’s first restaurant at sea, Emeril’s Bistro 1396. Carnival Cruise Line president Christine Duffy expressed her excitement for the new eatery in saying, “Mardi Gras is designed as the ultimate vacation experience, and that extends to the food and beverage offerings. Emeril Lagasse has brought the uniqueness and fun of New Orleans dining to foodies all over the world, and we’re thrilled that he’ll now bring that same experience to Carnival.” Given his inspirations and charisma, Lagasse is the perfect chef to bring the culture and cuisine of New Orleans to sea aboard Carnival’s Mardi Gras! Carnival Cruise Line is set to debut their most innovative ship ever, Mardi Gras, in 2020. While the XL-class ship will still feature Carnival staples and guest favorites, there will be a variety of unique experiences onboard. Debuting in 2020, Carnival Cruise Lines’ newest ship, Mardi Gras, will feature the first roller coaster at sea, BOLT: Ultimate Sea Coaster. Working with German-based Maurer Rides, the new coaster is over 800 feet long and reaches speeds over 40 miles per hour. 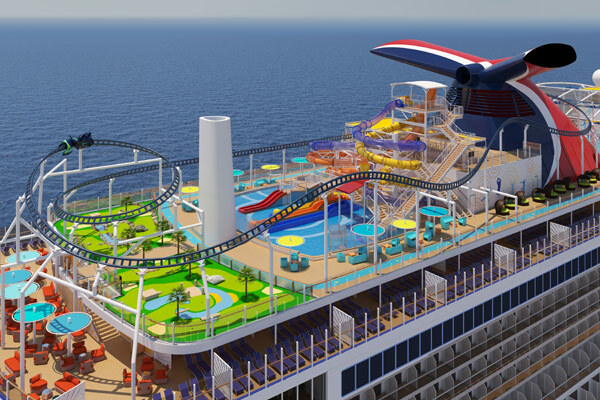 Carnival Cruise Lines recently announced the construction of an all new ship in their XL-class. Paying homage to the first Carnival ship launched in 1972, the new shipped has been named Mardi Gras, and she’s set to debut in 2020. According to Carnival, the name is so much more than a shout out to their beginnings, “… in cruising circles this name suggests innovation, and signals the start of something big. And it shouts ‘FUN!’ at the top of its lungs.” And if you know anything about Carnival, “fun” is their middle name. This new ship is built on the concept of innovation. Mardi Gras will be “the greenest cruise ship in North America,” powered by a clean-burning engine fueled by liquid natural gas, or LNG. But the innovations don’t stop there. Most Carnival ships feature similar layouts and amenities, but the Mardi Gras is being re-designed from square one, giving it a custom look and layout that is sure to shake up the industry. For more information on Carnival and the upcoming Mardi Gras, call The Cruise Web today at 1-800-377-9383 to speak with one of our expert consultants. 9-day Norwegian Fjords round-trip from London, June 19 – 28, 2020. 9- to 12-day Mediterranean sailings between Venice and Barcelona, July – October 2020. 16-day trans-Atlantic crossing from Barcelona to Tampa, October 30 – November 15, 2020. 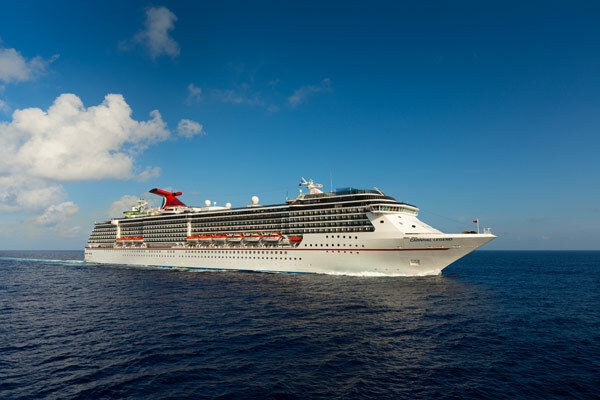 Once she returns to the United States in November 2020, Carnival Legend will offer week-long trips to the Caribbean and 8-day partial transits of the Panama Canal. For more information on Carnival Legend, her scheduled 2020 itineraries, and Carnival Cruise Line, please contact one of our expert cruise consultants at 1-800-377-9383. Carnival Radiance will be undergoing $200 million worth of refurbishments set to debut in 2020. The new on-board restaurant, Big Chicken, is highly anticipated, adapting a land-based eatery owned by Carnival’s Chief Fun Officer, former NBA champion, Shaquille O’Neal. On what will be the newly redesigned Lido Deck, this restaurant will offer classic fried chicken dishes, a variety of sandwiches, and even breakfast! In fast casual style, patrons will not be kept waiting as they place their order at one end of the counter and pick up right away at the other end. Each dish is named using a clever nickname that O’Neal went by during his NBA career, but the most tantalizing thing about this new restaurant is the price—free! 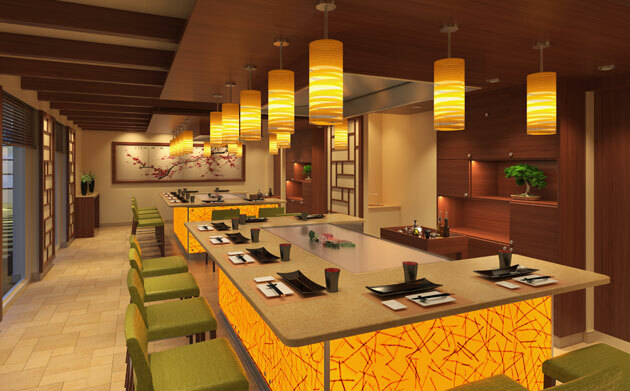 Carnival Cruise Line recently announced the addition of its first-ever teppanyaki dining venue aboard Carnival Horizon. Teppanyaki, a traditional Japanese cooking method, combines ancient cooking techniques with modern performance art to create an experience pleasing to both the tongue and eyes. The restaurant is expected to debut in Spring 2018 when the Carnival Horizon debuts in Europe. Carnival Cruise Line recently announced that singer Nick Jonas will be joining the Carnival LIVE concert series. Nick is scheduled to perform aboard Carnival Victory on September 21, 2017 and aboard Carnival Liberty on September 22, 2017! Get ready for a rib-cracking, one-of-a-kind entertainment experience as comedian extraordinaire Chris Tucker takes you down a path of his humorous outlook on life aboard Carnival Cruise Line during the popular Carnival LIVE Concert Series. Tucker is slated to perform two shows, one aboard Carnival Breeze on September 21 and another aboard Carnival Liberty on September 22, 2017, while docked in Nassau, Bahamas. The legendary stand-up comedian from the popular HBO television series, Def Comedy Jam, and the hugely successful ‘Rush Hour’ movie series is coming back by popular demand to give you the loudest laughs you’ve had in months! 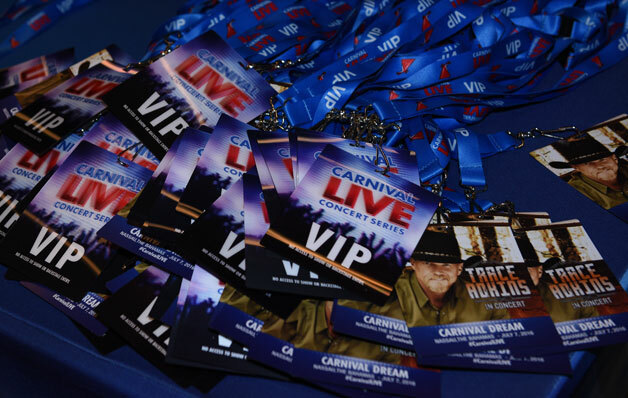 Join Carnival Cruise Line this fall as the best in live music meets legends of comedy for a show-stopping experience. These captivating performances will take place in the ships’ main theaters so you and fellow cruisers can enjoy a memorable cruise getaway. With a guest capacity ranging from 900 to 1,300, expect a great seat and an equally great view from every angle. Get a VIP ticket for $100 and receive a commemorative concert pass, seating in the first few rows and a great photo opportunity. You can also purchase a $30 general admission ticket, a tremendous value most land-based venues can’t match. 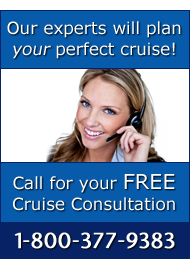 Give us a call today at 1-800-377-9383 to book your most exciting cruise yet with Carnival Cruise Lines!